If you’re searching for some free prank call websites like prankdial then you’re in the right place. Here, we have listed the top 5 best prankdial websites to make fun on your friends. Note: Prank calls can go wrong so remember to use your common sense while teasing your friends on Prankdial websites. 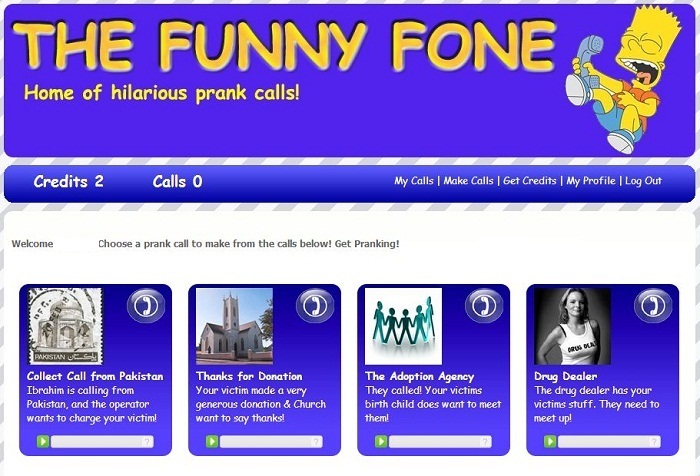 Funny Fone is one of the best website to send prank calls for free. Currently, this website is only available for US, UK and Canada. When you sign up, you’ll get 2 free credits to try. If you need more credits, you’ve to pay $4.45 for 30 credits. There are many prerecorded voices available to make hilarious pranks. Especially, “You kicked my dog” and “This is Luscious” pranks are really funny. Prank call is a Canadian company, which offers free pranks calls across US and Canada. 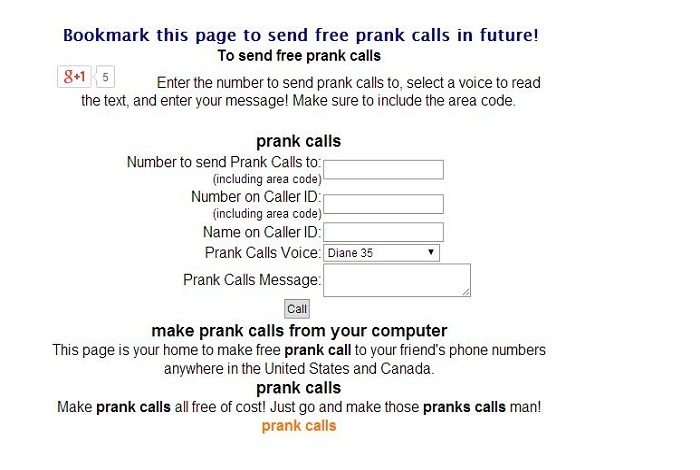 Since 2009, this company is offering free prank calls. Whospy is yet another prank call website similar to prankdial, you can make unlimited prank calls for free (US and Canada). 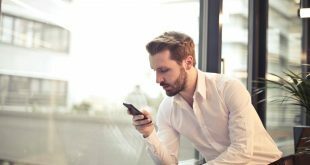 It’s very simple to send prank calls, just enter the victim’s number and number to show on caller ID then enter the prank call message and select the prank voice; that’s it. 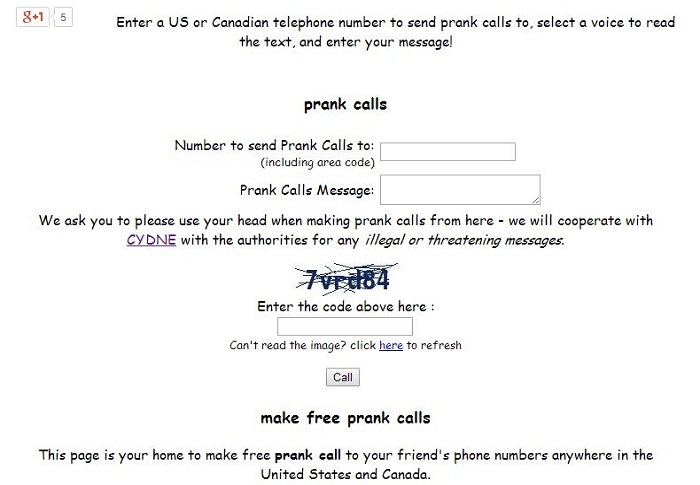 Here, you’ll find lots of prank call ideas that you can try on your friends. In 2008, comedy calls has started their prank call service with “Rick Roll Prank” and the massive popularity pulls wide-variety of new pranks in their row. 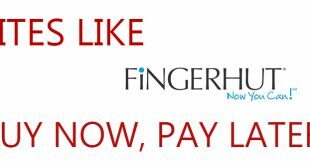 You will get one free call per day; if you want to make more calls then you’ve to buy credits. 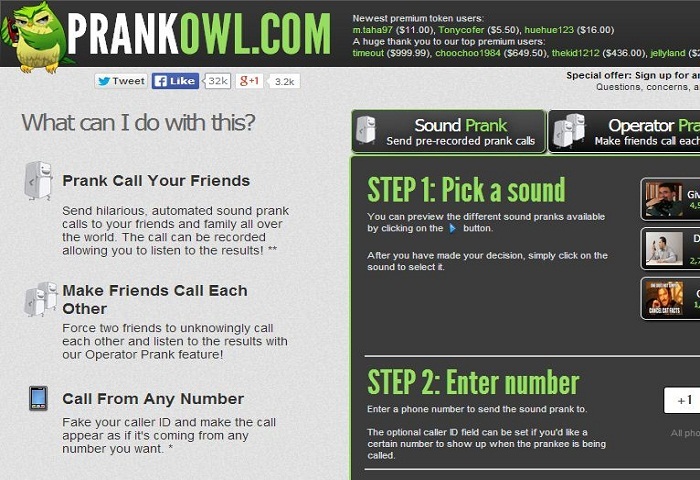 You’ll find lots of prerecorded voice calls to prank your friends and family. 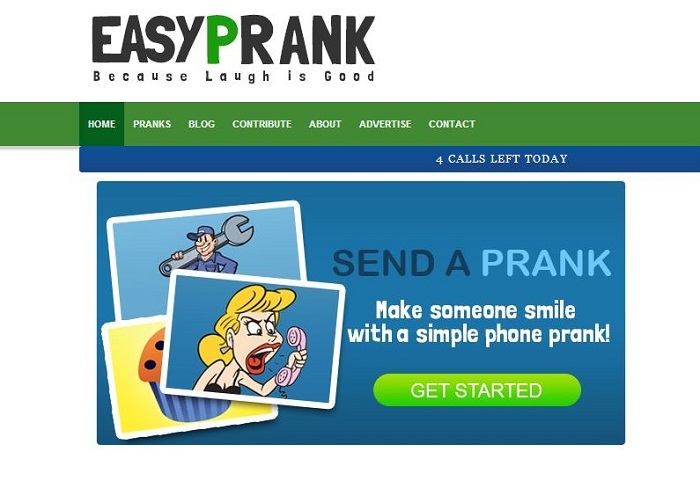 Easy Prank is a new website, which offers 8 free prank calls every day. Making prank calls are really easy; just select the prank (prerecorded voice), enter the victim number and the caller ID number that you wish to show them, that’s it. All prank calls are recorded so that you can listen and enjoy to the victim’s reaction. 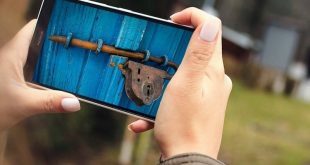 If you’re looking for best alternative for prankdial then prankowl is the good choice. It allows you to send hilarious prank calls to your friends from all around the world. If you wish to listen to the result you can record the prank call. Using operator prank call feature, you can force two friends to call each other unknowingly. This website even offers caller ID spoofing so that you can call any ph number using fake caller ID. However they offer only 3 free calls, if you want more calls then you’ve to buy premium tokens. 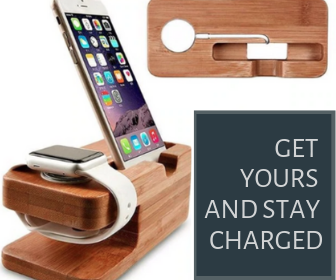 Hope you all enjoyed this post; don’t forget to share this with your friends.